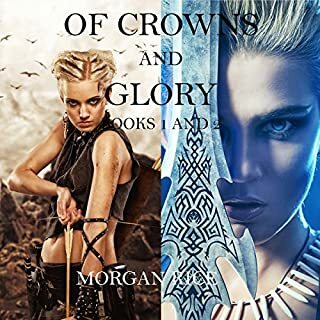 Gwendolyn returns and strives to become the ruler she is destined to be, using her wisdom to unite the disparate forces and drive out Andronicus for good. Reunited with Thor and her brothers, she is grateful for a lull in the violence and for the chance to celebrate their freedom. But things change quickly - too quickly - and before she knows it, her life is thrown upside down again. 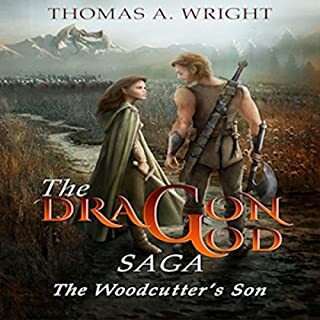 Her elder sister, Luanda, caught in a fierce rivalry with her, is determined to wrest power while King MacGil's brother arrives with his own army to gain control of the throne. 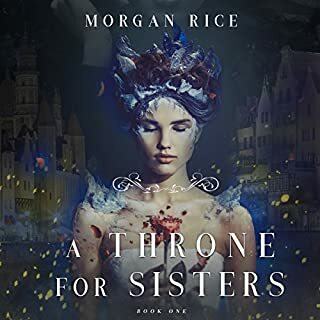 With spies and assassins on all sides, Gwendolyn, embattled, learns that being queen is not as safe as she thought. Reece's love with Selese finally has a chance to flourish, yet at the same time his old love appears, and he finds himself torn. 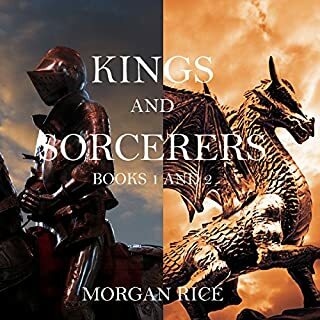 But idle times are soon overcome by battle, and Reece, Elden, O'Connor, Conven, Kendrick, Erec, and even Godfrey must face and overcome adversity together if they are to survive. Their battles take them to all corners of the Ring, as it becomes a race against time to oust Andronicus and save themselves from complete destruction. As powerful, unexpected forces battle for control of the Ring, Gwen realizes she must do whatever it takes to find Argon and bring him back. In a final, shocking twist, Thor learns that while his powers are supreme, he also has a hidden weakness - one that may just bring his final downfall. 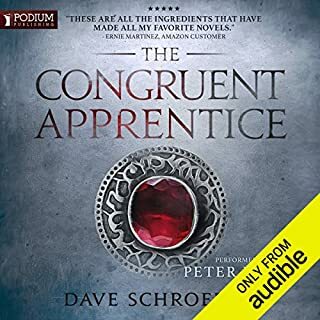 for as many books in this series, they all are 7 hours long. to me just not worth a credit could have put books together, for a credit more hours. 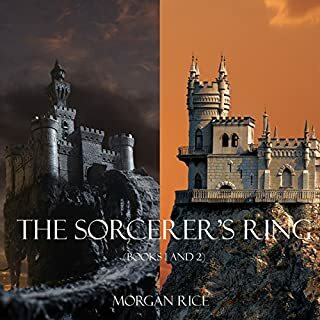 I love everything that Morgan writes and I love the sorcerer's ring. I wish one day we can see the sorcerer's ring on the big screen. Seven books and almost zero resolutions. This series is obviously being stretched out for the sake of more books and by this point you just want it to end. Also the narrator if awful. Why must you make a 16 year old girl sound like a retired old man that smokes 2 packs a day. 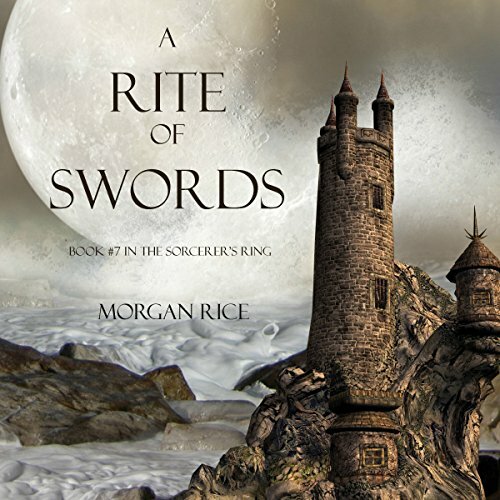 I have been reading all the books in this searies, I really enjoy them though there is so much fighting, it seems the author has devoted to much time to battels. Yet I have enjoyed all the books so far. The only other thing is the time frames. Age is a factor I have either missed along the way or the span of time is slow paces that the characters are all the same age throughout the books . The last I heard was Quindalin was 15. Not sure if the spelling of names. And Thor is still just a boy ?? Confused on that so I will have to listen to the books more than once. But in all as far I have enjoyed all the books and the narrator is great. I have enjoyed his voice and the power of his reading and the calmness where it's needed. Enjoy Wayn Farerel very much. Loved this book exciting scarry romantic deadly.This book covers it all start to ending it's a good to listen to.